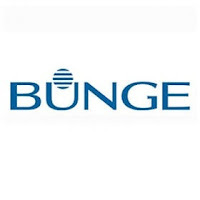 Position Overview: Drive development of category best-practices, ensure best leverage of Bunge’s global volume to maximize Total Cost of Ownership (TCO) Savings and Procurement Value Contribution. Reporting to the Global Category Director, the Global Category Manager will have a team of Category Specialists in different regions of the organization. Create one year and three years strategic sourcing plan for the selected categories. Provide support on a case-by-case basis to offset local skill gaps. Work with Global Centre of Expertise in determining long-term technology requirements to drive efficient internal buying channel execution. Manage supplier performance by lessons learned through region and making sure that the supplier builds on those lessons learned to improve service levels in another region. Ensure alignment of negotiation timing and contract durations between regions. Supports talent development for Procurement in cooperation with Category Director and local HR Organizations. Deep category and market knowledge.